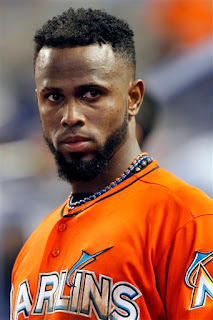 I see in various Twins-oriented places on the Internet -- even from people who like Thursday's trade -- a misconception, or at least a miswording, about Denard Span. Span is a good player. He is not a franchise cornerstone. He's not a guy you "build around." The Washington Nationals aren't building their team around Span. The Nats are built around Bryce Harper and Stephen Strasburg and, to a lesser extent, Ryan Zimmerman. (They're paying Jayson Werth as if he's a cornerstone, but he's a complementary piece -- like Span, a quality complementary piece.) The Nats had the best regular season record in the National League in 2012, and Span should help them stay there in 2013. He allows them to get Harper out of center field and Werth out of the leadoff spot, both of which were ill fits. Span turns 29 during spring training. He has not made an All-Star team, has not drawn even a 10th-place vote in the MVP balloting, has not won a Gold Glove. He did once lead the AL in triples; that's the only "black ink" on his stat sheet. For a leadoff man/center fielder to be a true cornerstone, he needs to have an OBP of .400, not .350; he needs to hit .300+, not .270; he needs to win Gold Gloves and lead the league in runs scored occasionally. None of this is Span. Again, Span is a good, useful player. It is not a condemnation to say he is not a star. The point is, we ought not value him as if he is. He's a better player than Ben Revere, who figures to take the center field job in 2013. Span's flaws -- throwing arm and power -- are Revere's flaws as well, only more so. I fully expect that by the time Alex Meyer takes his intended place in the Twins rotation, Revere won't be the Twins center fielder either. He'll be supplanted by Aaron Hicks or maybe even Bryon Buxton. Joe Mauer, Buxton, Meyer, Miguel Sano -- these are guys you can build a team around. Span and Revere, not so much. he is said to use a knuckle-curve grip on his slider. Start with the trade itself: Denard Span to Washington for Alex Meyer, a 6-foot-9 RHP who split 2012 -- his first season in pro ball -- between low A and High A. * I've said this several times in different formats: It is common for a championship-caliber team to have one regular outfielder like Span or Ben Revere; it is almost unheard of for such a team to have two of them. Trading one of them was inevitable. * Presumably Terry Ryan decided to trade one of his center fielders for the highest-upside arm he could obtain, regardless of how nearly major-league ready he is. Meyer is NOT major-league ready; even if he opens next year in Double A, he's probably not going to appear in Target Field until 2014 at the earliest. This trade does not make the Twins better in 2013. It's a rebuilding trade -- established major league talent for the possibility of a future ace. *Meyer IS a high-quality arm. He throws very hard, occasionally touching 100 mph in college (Kentucky); as is typical of very tall pitchers, repeating his delivery was an issue in college. When his arm dropped, so did the velocity. Good slider, working on his change-up. Possible that he might end up in the bullpen, but that would probably be if he never gets his delivery solved. Up and down collegiate record. Scott Boras is his agent. Meyer had good numbers in A ball last year -- good but not eye-popping. I don't know how well he did at maintaining his delivery, and anybody who's spent the past few years watching Francisco Liriano spin out of control a couple times an inning knows how important that is. I don't see any red flags in his 2012 numbers. Here's John Sickels' take on Meyer, posted a few hours after the trade was announced. * Presumably the 2013 outfield for the Twins now is Josh Willingham in left, Revere in center and Chris Parmelee in right. But I still wouldn't rule out another trade for a pitcher, this one involving one of the first basemen (Parmelee or Justin Morneau). Summation: There's risk in trading for a Class A power arm; Meyer comes without guarantee. But he's exactly the kind of arm the Twins lack and need. If he stays healthy, masters his delivery, develops a change up, he's a front-of-the-rotation arm. Span is a good center fielder and leadoff hitter. He's not great. And, at age 28, he's not likely to be better than he is. He wasn't going to fetch a polished front-line starter one-for-one. It's a good gamble for the Twins. If I actually had a vote for the Hall of Fame -- I don't -- I would probably be one who identifies a handful of legitimate candidates and perhaps casts a waste vote for a personal favorite with no real HOF case. (Or maybe, if I were a working member of the BBWAA, I would have discovered that I don't really LIKE any of them.) A voter can vote for as many as 10 candidates; most don't go nearly that deep. This winter's ballot is probably too loaded for waste votes. Loaded with talent, loaded with controversy. Barry Bonds, Roger Clemens and Sammy Sosa are mightily overqualified by the stat lines, and with the steroid connections, it's quite likely none will get in. I can argue PEDs in both directions, and at times have. My take in terms of the Hall: 1) I want some evidence, not just rumors; 2) I wouldn't set up PED use as a litmus test; 3) if there's legitimate reason to doubt that a player would have reached Hall of Fame levels without steroids, that's a heavy mark against him. Jeff Bagwell. How many first basemen in history were better than Bagwell? Gehrig, Foxx ... I'd take Eddie Murray over Bagwell too. The list isn't long. Bagwell's been hurt in the voting by PED rumors, but real evidence is lacking. Give me something more substantial than "he was buds with Ken Caminiti." Craig Biggio. Maybe he and Bagwell can go in together, which would be fitting. Bonds. Three MVPs before allegations of steroid use. Clemens. What he did in Boston alone is sufficient. Mike Piazza. The numbers say he was the best hitting catcher ever. Even while active, though, there was chatter that he was a chemical construct. Again, I want more than chatter. Tim Raines. That Rock's out and Jim Rice is in is a data point for the idea that the writers are addicted to the idea that RBI is the be-all, end-all stat. Sorta like Miguel Cabrera winning the MVP over Mike Trout. Or George Bell over Alan Trammell in '87. 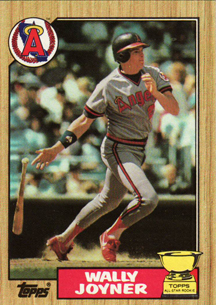 Raines was better than Rice; Trout was better than Cabrera; Trammell was better than Bell. Curt Schilling. An odd, up-and-down career, but utterly dominating at his best and a major figure in two of the most compelling postseasons of the past 20 years. Alan Trammell. Best shortstop not now in the Hall, and better than more than half the shortstops in. That's eight. That list excludes Kenny Lofton, Jack Morris, Fred McGriff, Mark McGwire, Sosa, Don Mattingly, Bernie Williams, Rafael Palmeiro and Edgar Martinez, all of whom have some sort of plausible argument in their favor -- and equally plausible arguments against. But I'm not counting to 10 just because I can. Those eight are enough. Those eight are a very loaded ballot. figure in the commissioner's office. 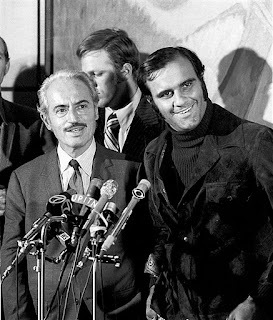 Marvin Miller took the helm of the fledgling players union in 1966 and retired as executive director in 1982. In those 16 years, he changed professional sports forever. Step by step, confrontation by confrontation, Miller -- who died Tuesday at age 95 -- laid the foundation for free agency. For generations, the owners had insisted that allowing players a voice in their employment would ruin the game. They were wrong. They weren't the only ones who couldn't see what Miller saw. Jim Bouton, pitcher-turned-writer, tells of asking Miller about the free agency dream before it happened: Wouldn't it let the big market teams buy up all the good players and win all the time? To which Miller replied: You mean like the Yankees have done all these years? The changes Miller brought to baseball spread to the other major sports. Miller's legacy is the strength and cohesiveness of the union he built. Because of that, baseball's players have the most freedom, baseball has the greatest competitive balance of our major sports and baseball hasn't had a labor stoppage in 18 years. The NFL, the NBA, the NHL -- all had lengthy lockouts in the past few years, in no small part because the owners in those sports are sure they can break the union (as they always have). Baseball's management knows it can't. The Twins on Monday announced yet another minor-league free agent signing, this time of Jeff Clement, a left-handed hitting, defensively limited first baseman-catcher. Clement was the No. 3 overall draft pick in 2005, but his career has stalled in Triple A at age 29. In bits and pieces -- four partial seasons scattered over the past six years -- Clement has hit .218/.277/.371 in 385 major-league at-bats. His defensive chops behind the plate aren't good enough to sustain that, and nobody's glove at first base is good enough to sustain that. Clements' minor league numbers (.282/.361/.493 in more than 2,200 Triple A plate appearances), while good, aren't sufficiently eye-popping to force a sustained opportunity. The Twins are his third organization; the first two, Seattle and Pittsburgh, have been starved for hitters. Clement couldn't, or at least didn't, carve out a career in either place. The Twins certainly, at the moment, don't look like the place where Clement is going to change that. What is he? A left-handed hitter who kinda plays first base and catcher. The Twins have two major-league first basemen in Justin Morneau and Chris Parmelee; they both hit left-handed. The Twins have at catcher Joe Mauer (left-handed hitter) and Ryan Doumit (switch-hitter who is stronger from the left side). Clement probably isn't a defensive upgrade over any of the four, and there's no reason to believe he's a better hitter. So why would a minor-league free agent with his profile turn to the Twins for an opportunity? Because there's a possible future opportunity. Say the Twins trade one of the first basemen next month for pitching. Clement still may not make the major league roster out of spring training, but he'd be available if the other guy gets hurt. Two "ifs" there, but the odds of them coming through for him aren't terrible. The Twins are going to trade somebody for pitching, we can be sure of that. At 29, with his track record, Clement isn't going to be anybody's Plan A, and he's not likely to be anybody's Plan B. A strong Plan C might be his best remaining chance, and the Twins offer that kind of chance. One move they have made, which flew rather under the radar, was the waiver-wire pickup earlier this month of Josh Roenicke, a move which seems increasingly curious to me. He had an ERA of 3.25, which is even more impressive given that he was pitching his home games in Coors Field. I speculated at the time that the Rockies waived Roenicke rather than pay him at the arbitration rate after this breakout season, but he's not arbitration eligible. He's 30, he's out of options, but he's still cheap. So why did the Rox dump him? For that matter, why did everybody in the National League pass on him when he was waived? And how does he fit into the Twins scheme? It's probably fair to say that the Rockies (and the rest of the National League) doubt that the ERA is an accurate assessment of Roenicke's talent and skill. He had a poor strikeout to walk rate and a below-average strikeout rate; those are better predictors of future ERAs than ERA itself. Then there's the Coors Field problem. There's only one thing more difficult than having a good year pitching for the Rockies, and that's having a second. Pick through the two decades or so of the Colorado franchise's records, and you'll find that their few effective pitchers had very short runs of effectiveness, frequently due to injury. I think the issue of recovery time in the lower-oxygen environment of Denver is part of the problem. To pitch in the major leagues is to damage the arm; to pitch at altitude is to damage the arm with less ability to recover. Eighty-eight innings of relief, as pitchers are used nowadays, is a lot; only five pitchers in the majors threw 80 relief innings last season. The Rockies may well have figured of Roenicke: He's not as good as his ERA, and he's a good candidate to break down; let's not count on him for 2013. So they waived him to create space on their 40-man roster, and when the Twins claimed him, they figured they weren't losing much. As for all those innings: Two of the five 80-inning relievers were Rockies, and a third Colorado bullpenner had 79. This stems from an experiment the Rox tried last summer: A four-man starting rotation with a low pitch count limit (75). Roenicke was one of three "piggyback" relievers used to get through the middle innings. This makes Roenicke's workload appear a bit less impressive -- he wasn't pitching so many innings because he was so effective, he was pitching them because it was his turn. Which brings us to the question of how he fits in the Twins bullpen, which is run more conventionally than Colorado's was last year. Assuming everybody's healthy and at 2012 effectiveness -- never a particularly likely assumption with relief arms, but we have to start somewhere -- Roenicke has to rank under Jared Burton and Casey Fien in the pecking order of right-handed relievers. He's competing for a a role with the likes of Alex Burnett (who also had an ERA that was better than his walk and strikeout rates should support); fellow newcomer Tim Wood; and long man Anthony Swarzak. Odds are that of those six, at least one will have some sort of injury issue this spring. Roenicke might also be seen as an alternative to LOOGY candidates Tyler Robertson and Caleb Thielbar. Roenicke was notably more effective against lefties than righties in 2012; one should be wary of assigning significance to one season of platoon splits for a reliever, but if he actually does have a pitch that gives lefties fits, all the better. Frankie Frisch, the player-manager of the St. Louis Cardinals for much of the 1930s, is approaching the main entrance of the team's hotel when a paper bag filled with water zooms past his head and splats on the sidewalk. Frisch is no fool. He knows who's responsible. And the Fordham Flash hotfoots it to the room of one Pepper Martin, leadoff hitter, third baseman and general pain in the kiester. Frisch finds Martin in his eighth-floor room sitting next to an open window overlooking the scene of the crime and starts chewing him out. Martin interrupts: "Gee, Frankie, you wouldn't have wanted me to hold that bag out the window all day and tire out my arm, would ya?" The 40-man roster is almost always a work in progress, and that's never more true than during the offseason. And it figures to be particularly true of the Twins this winter. Yes, they stuffed their 40-man roster to the brim on Tuesday. But it is almost impossible to imagine that the 12 (or 13) pitchers who will make up the staff on Opening Day are all on the 40 right now. starter on the Twins current roster. trade, is out of options. I put Duensing with the relievers because that's where I think he belongs, but the starting candidates are so thin that he may well wind up there. It's not too difficult to tick off several names there who won't be on the Opening Day roster. 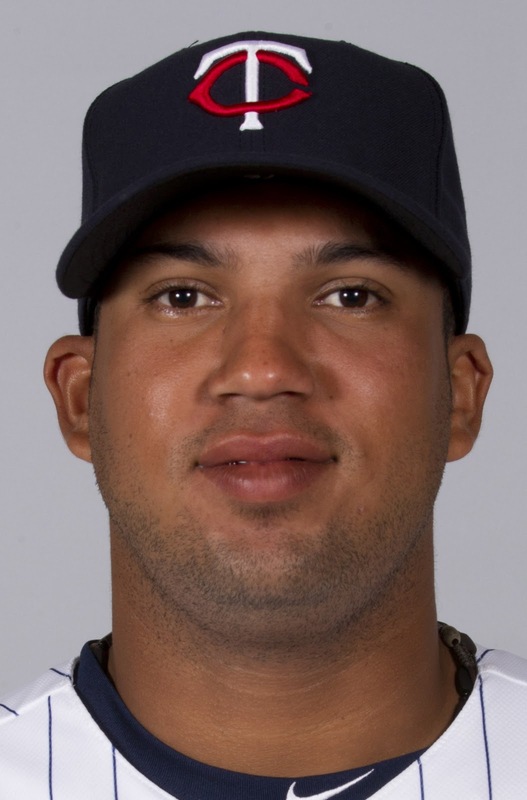 Oliveros is unlikely to pitch at all in 2013 after Tommy John surgery. Tonkin hasn't pitched above A ball. Hermsen and Hernandez are far more likely to be in the Triple-A rotation than the major league one. And there will be changes in this list in the coming months. Count on it. Tuesday wasn't just the day the Twins moved eight minor leaguers to the 40-man roster. It was also the day Baseball America posted its Twins prospect material online. Plenty of places offer opinions on minor leaguers. Baseball America's advantage is that it has a well-deserved reputation for reflecting the conventional wisdom in the sport. If BA says Daniel Santana is the best shortstop prospect in the Twins system, it's quite likely that the Twins see it that way also. Manuel says the odds are that Eddie Rosario will wind up back in the outfield. The key, oddly, is how well Rosario hits; the better the bat, the more willing the Twins will be to live with a subpar glove at second. He expects the Twins to be focused on pitchers with the fourth pick in next summer's draft. Buxton was just too good to pass over, he says, but there are no Buxtons in the coming class. This is the fourth Thanksgiving for the Baseball Outsider blog, and the fourth time I've used the same photo. Maybe some year I'll change it up. 2012 was the second straight season of 90-plus losses by the team this blog focuses on, and certainly there is a rising sense of impatience among the fans and team. We'd become used to the idea that the Twins were chronic contenders in the AL Central, and having a different reality does not sit well. 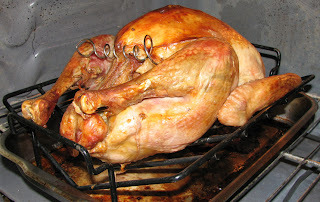 But today is a day for gratitude and thanks, and grousing about bad baseball doesn't fit that attitude. Bad baseball is better than no baseball, and even a last-place team provides some pleasure during the long summer -- and anticipation for the next season during the long winter. Thanks, dear readers, for visiting the blog. The Twins entered Tuesday with 32 players on their 40-man roster. They closed Tuesday -- the deadline for moving minor leaguers to the major-league roster -- with all 40 slots filled. This surprised me. I expected them to leave slots open to fill via trade or free agent signings; I didn't see eight guys who needed to be protected. Filling the roster now doesn't rule out future moves. It just means that if the Twins sign a free agent to a major league deal, they'll have to take somebody off the roster. It does hint that the Twins are unlikely to delve into the Rule V draft next month. Daniel Santana, an infielder of whom I wrote last week, struck me as a marginal roster choice even if he is in fact the best shortstop prospect in the system; I can't see anybody taking him in Rule V and keeping him in the majors all season. B.J. Hermsen is a RH starter who doesn't walk or strike out many. Spent most of last year at Double A. The Twins certainly need starters, but the low strikeout rate suggests he isn't an answer. Caleb Thielbar is a LH reliever. A Minnesota native who went to South Dakota State, he opened last season in High A and ended in Triple A, putting up good to decent numbers at each level. Numbers fell off when he hit Triple A. He turns 26 in January. Being left-handed certainly helps his stock. Josmil Pinto, a catcher, was named to Baseball America's High A postseason all-star team. His strong 2012 followed an unimpressive 2011. Maybe somebody would have taken him in Rule V and carried him as a backup catcher all year, but I doubt it. Turns 24 in March. The bulleted five are probably marginal prospects. Maybe Santana and/or Pinto can develop into major league regulars, but they aren't going to do so in 2013. I would have thought the flexibility of one or more open roster spots would be worth the risk of exposing some of them to Rule V predation. Obviously, the Twins didn't see it that way. There probably aren't many farm systems as heavy on outfield prospects as the Twins. 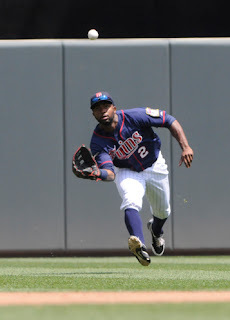 As noted here in recent posts, Baseball America's Top 10 list for the Twins system has at least four outfielders -- Bryon Buxton, Oswaldo Arcia, Aaron Hicks and Max Kepler -- and that's counting Eddie Rosario as an infielder. Then there are past-rookie-status young outfielder Ben Revere and (arguably) Chris Parmelee, and former Top 10 prospects Joe Benson and Angel Morales. Such a surplus of outfielder perhaps explains why Nate Roberts flies under the radar. I don't know much about Roberts beyond what's on his Baseball Reference page, but what's there has some interesting points to it. Roberts is, like Rosario, a left-handed hitter and right-handed thrower taken in the 2010 draft. Rosario went in the fourth round, Roberts in the fifth. Roberts was drafted out of college, Rosario out of high school, so Roberts is a couple years older. Neither has gotten above Low A ball yet. Roberts hasn't hit for Rosario's power, but he has hit .300 each year since turning pro. And he has a specialty skill of note: He gets hit by pitches. Last season, in 76 games with Beloit, he was hit 23 times. In 2011, in 68 games, he was hit 29 times. That's 52 HBP in 144 Midwest League games, better than one HBP per three games. Throw in his time in the Appy League in 2010, and he has 56 HBP in 179 professional games. Eddie Rosario strikes me as a crucial test of the Twins farm system — a test of their abilities both as teachers and evaluators. Rosario — fourth-round pick out of Puerto Rico in 2010, turned 21 in September — is a left-handed line drive machine who has displayed some power in the lower minors. Last winter, Baseball America rated him the system's No. 3 prospect; this winter he's No. 7. Here's the issue: Although Rosario hit 21 homers in 2011 in the Appy League, he's not seen as a true power hitter. Baseball America last week labeled him the "best hitter for average" in the Twins farm system, but predicted he'll level off at 10 to 15 homers a year at higher levels. Rosario was signed as an outfielder, but he lacks the speed to play center field, and he may lack the power for an outfield corner. Plus the Twins are loaded with outfield prospects (of the six players BA lists ahead of Rosario, three are outfielders, and another outfielder is right behind him at No. 8). And as a second baseman, a position the Twins started converting him to about 13 months ago, he's at best a work in progress. BA's conclusion: Rosario will stay in the infield as he moves up to high Class A. He's a bit of a tweener if he has to go back to the outfield, so the Twins will give him every chance to remain at second base. This makes sense to me. If he's an outfielder, he's of limited use to the Twins. If he has limited power, he's unlikely to be a regular corner outfielder. His bat profiles well for second base, but he has to be able to handle the position defensively, and he hasn't established that he can. The Twins have struggled over the years to develop quality middle infielders, however. That is not encouraging. Vernon Gomez, a Hall of Fame left-handed pitcher for the Yankees in the 1930s, had two nicknames: Lefty and Goofy. Gomez is in a jam, and the powerful Jimmy Foxx -- who only hit 534 home runs in his own Hall of Fame career -- is up. Yankees catcher Bill Dickey calls for the fastball; Gomez shakes him off. Dickey asks for the curve. Gomez shakes him off. Dickey signals for the change up. Gomez shakes him off. Dickey runs though the signs again. Gomez shakes them all off. Dickey calls time, goes to the mound: "What do you want to throw?" Gomez says: "Nothing. If we wait long enough, maybe he'll give up and leave." now he's not in BA's Top 10. The most recent issue of Baseball America lists the Top 10 prospects for the five teams in the AL Central. For the Twins, they are: 1) Miguel Sano; 2) Byron Buxton; 3) Oswaldo Arcia; 4) Kyle Gibson; 5) Aaron Hicks; 6) J.O Berrios; 7) Eddie Rosario; 8) Max Kepler; 9) Daniel Santana; 10) Luke Bard. BA is to post its Twins material on Nov. 20; some of it will be password protected. The guy I want to comment on today is Santana, a switch-hitting middle infielder out of the Dominican Republic who turned 22 last week. He spent last season in High A ball, splitting time between shortstop and second base for the Fort Myers Miracle with Levi Michael, the Twins' 2011 first-round pick. Michael is notable for his absence from the BA list. Santana outhit Michael at Fort Myers pretty substantially (.739 OPS for Santana, .650 for Michael) and, according to the magazine summary, finished the season as the Miracle's regular shortstop, relegating Michael to second base. 2012 was easily Santana's best so far, and his 29 walk/77 strikeout ratio is not encouraging. The magazine's wrapup on Santana: Santana reminds some scouts of Pedro Florimon, the light-hitting minor league veteran who finished the year as Minnesota's regular shortstop. The Twins believe Santana has more offensive upside and will send him to Double-A in 2013. I don't regard this as a positive. 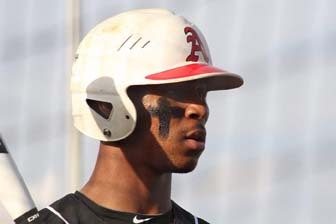 The best shortstop prospect in the system is reminiscent of Florimon? The 2011 first-rounder isn't better than that? Yikes. Outrage 1: The Miami Marlins turned themselves into fish sticks with a major salary-dump trade with Toronto (it's still not official, pending physicals and probably some salary review by the commissioner's office). Mark Buehrle, Jose Reyes, Josh Johnson, John Buck ... they signed last winter for big coin with the the Fish, and now they're gone. In a pure baseball sense, it's probably a good trade for Miami. It's not like they broke up a good team. The Marlins finished last with those high-priced guys. They can finish last without them. The real reason this deal draws universal derision when the Red Sox got a pass for doing the same thing in midsummer is that Jeffrey Loria and his co-conspirators in the Miami organization have poisoned the well. They don't get the benefit of the doubt, because they burned that long ago. I believe that Loria and Co. are slimeballs and represent the worst of big-time pro sports ownership. 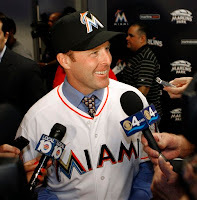 I also believe that they are systematically wrecking Miami as a baseball market, just as they did Montreal. I can despise Loria and everything he stands for without trashing this trade. Plouffe -- but he was close. 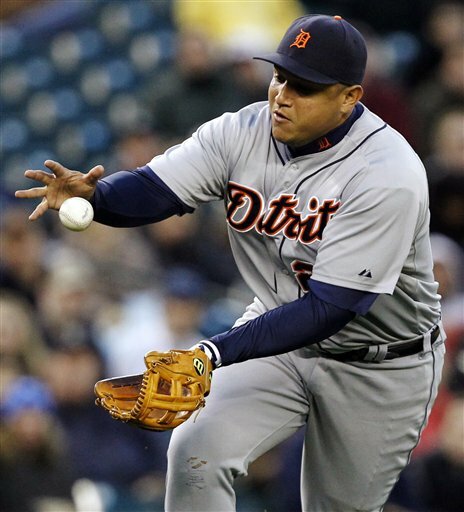 Outrage 2: Miguel Cabrera won the American League MVP award Thursday in a one-sided vote over Mike Trout. Miggy had a big year, but he wasn't better than Trout, Triple Crown or no. Trout wasn't far behind Cabrera as a hitter, and was far superior in the field and on the bases. Yes, Cabrera's team made the playoffs, but Trout's team (a) won more games (b) playing a far more difficult schedule. But this isn't the biggest outrage of recent MVP voting. This isn't Juan Gonzalez winning an MVP for piling up RBIs in an extreme hitter's park. Outrage 3: David Price on Wednesday won the AL Cy Young Award in a close vote over Justin Verlander. Again, Price had a fine season. Verlander was better. This is very much akin to 2005, when Bartolo Colon won the award over Johan Santana, an award the writers apparently began to regret almost as soon as it was announced. Colon had a good year, but everybody knew Santana was the superior pitcher. The same is true this year, perhaps not to the degree that it was in 2005, but still ... I doubt anybody in baseball would rather have Price than Verlander (ignoring the salary difference). 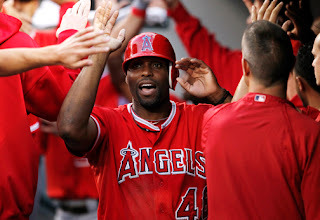 Torii Hunter and the Detroit Tigers agreed Wednesday on a two-year, $26 million deal for the free agent outfielder, pending a physical. Five years ago, the Twins let Hunter leave as a free agent, and he signed with Anaheim. The Twins traded for Delmon Young, with the expectation that Young would at least match Hunter's offensive production. That seemed a reasonable expectation at the time. It didn't work out that way. Young hit .287/.324/.429 for the Twins in 2008-11; for the five years, his slash line was .282/.316/.427. Hunter, meanwhile, hit .286/.352/.462 for Anaheim. I certainly didn't expect Hunter, in his mid-30s, to outhit Young in his mid-20s. But he did. Plus Hunter was and remains a far superior defensive player. And he's never been arrested and charged with a hate crime. Torii Hunter >>> Delmon Young. And so it is that, five years after the Twins sought to replace Hunter in their starting lineup with Young, that the Detroit Tigers will replace Young in their starting lineup with Hunter. His elbow didn't like this very much. Well, so much for this pitching possibility for the Twins. Scott Baker, who early this offseason appeared likely to remain with Minnesota, wound up signing a one-year deal with the Cubs on Tuesday. He gets $5.5 million guaranteed and $1.5 million in incentives (incentive clauses are limited to "useage" stats, such as starts and innings pitched, not "results" stats such as wins or ERA). Baker did good work for the Twins, but not a whole lot of it. He reached 200 innings just once in eight seasons (including 2012, in which he did not pitch). Durability has never been his strong suit. Much as I would have liked to see Baker remain, $5.5 million is a lot for a guy who had Tommy John surgery around opening day. 2013 is going to be a rehab season. He's talking about being ready to start major league games by the time the season begins, but it's at least equally possible that he won't be ready until May or even June. I don't think he's likely to top 140 innings, no matter when he's ready to pitch. The speculation is that Terry Ryan and Co. were unwilling to go just one year for that kind of money. The Twins wanted an option for 2014 if they were to go that high for next year; Baker and his agent wanted both the money and to be assured of free agency after 2013. The Cubs went there. I am not upset that the Twins declined. And at least we won't have to listen to Bert Blyleven whine that Baker doesn't "pitch down in the zone." 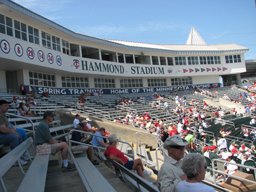 Hammond Stadium in Fort Myers, Fla. The Twins late last week signed a pair of minor-league free agents, RHP Tim Wood and C Eric Fryer, both of whom spent the 2012 season the Pittsburgh organization. Wood's signing carries some potential significance. He had a very strong 2012 for Indianapolis, the Pirates' Triple A affiliate, and the emergence of Jared Burton and Casey Fien last season has many Twins bloggers anticipating another such success with a minor-league free agent. Which is certainly possible. It's worth remembering, however, that Wood turns 30 later this week, that he's been unimpressive in previous major league trials and that his excellent 2012 in Triple A didn't get him a call-up with the Pirates. He'll compete for a job. He may even win one. But if he were really a prime prospect, he wouldn't have been available. Fryer figures to be Triple A fodder; Rene Rivera's Twitter outburst in September when the Twins bypassed him for Chris Herrmann made it quite likely that he wouldn't remain in the organization in 2013. Fryer figures to rank below Joe Mauer, Ryan Doumit, Drew Butera, Herrmann and maybe Danny Lehmann on the catching depth chart. Last Tuesday, Lee County (Fla.) approved a $42 million expansion of the Twins complex in Fort Myers, which involves not only the Twins spring training home but two minor league affiliates, the low-Rookie level GCL Twins and the high-A Fort Myers Miracle. A 55-bed dormitory will be constructed (the Twins will pay the tab), which will include classrooms and commissary. The first two will be more obvious to spring training visitors, but it's the latter that I would expect to have the bigger impact on the operation. It figures to give the Twins greater control over the nutrition and education of the young players on the complex-level GCL (Gulf Coast League) Twins, many of whom are Latin Americans getting their first taste of the United States. Josh Willingham won a Silver Slugger award. It's a more elegant trophy than comes with the Gold Glove Award. It's a nice honor for the Willinghammer, who did have a fine season, but I'm not sure that he was really one of the three best-hitting outfielders in the American League. On the other hand, I'm not sure offhand who to say deserved it more than he did. I pulled this one during spring training as a potential Pic of the Week, but I wound up using something else. Then I stashed it figuring that I'd find an opportunity to use it with some Derek Jeter post during the season. That didn't happen either. But I like the image too much to just forget it either. And if you can forgive a literary reference, it evokes the eyes of Doctor T. J. Eckleburg in "The Great Gatsby." "We got a kid, Goossen, 20 years old. In 10 years, he's got a chance to be 30." Three sure-fire Hall of Fame managers, and one with a pretty good case, abandoned the dugout the past couple of years, and some of the managerial hirings this offseasons led me to ponder how the careers of Bobby Cox, Tony LaRussa, Lou Piniella and Joe Torre have affected the current crop of managers. Cox: His managerial progeny includes Ned Yost of the Kansas City Royals and Fredi Gonzalez, who succeeded him with the Atlanta Braves. 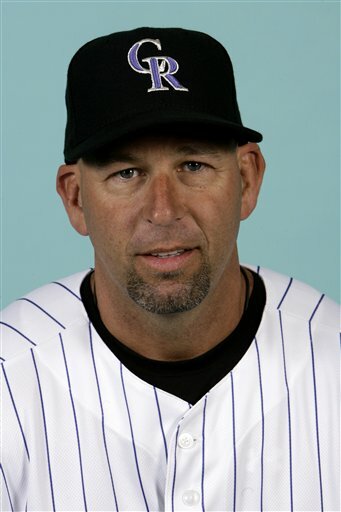 Walt Weiss, just named to the Rockies job, also played a couple of seasons for Cox, but I'm putting him in LaRussa's group, for reasons I'll detail later. Torre: Joe Girardi (Yankees) played for and coached under Torre. Don Mattingly (Dodgers) coached for Torre in New York amid speculation that he was being groomed to succeed Torre; when the Steinbrenners replaced Torre with Girardi and Torre went to the Dodgers, Mattingly followed and eventually inherited the job. 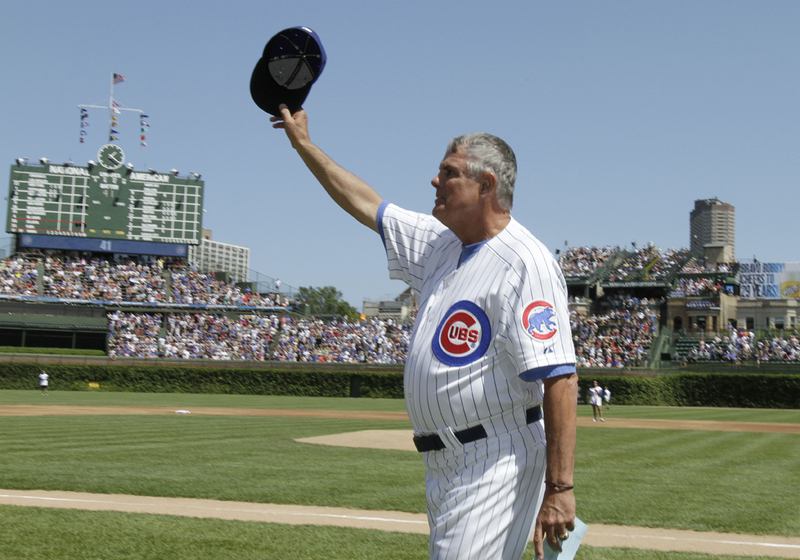 Piniella: This is odd for a guy who managed for 23 years with five different franchises, won a World Series, had a 116-win season: I can't identify any manager, current or past, whose career trajectory was clearly affected by Sweet Lou. Mattingly and Willie Randolph played for him in the early years of his managerial career, but Donnie Baseball belongs in the Torre family and Randolph had so many skippers it's hard to identify a mentor. In an odd way, Piniella may have been indirectly influential on Ozzie Guillen, who never played for or worked with Piniella; Joey Cora spent the bulk of his career with Piniella, and Guillen leaned as heavily on Cora as any manager has relied on a coach in recent memory. LaRussa: He's got literally generations of managerial progeny — too many, probably, to accurately recount. Consider this this: Jim Leyland was LaRussa's right-hand man during LaRussa's first job, with the White Sox in the early 1980s; Leyland's been managing pretty much forever himself. Heck, Gene Lamont spent eight seasons with managerial jobs in between coaching stints with Leyland. Mike Matheny, who succeeded LaRussa in St. Louis. Robin Ventura of the White Sox played three-plus seasons for Lamont, the longest period for which he had a specific manager. Ventura also played for shorter periods for Torre, Bobby Valentine and others. I'm not sure which of them was most influential on him. There are 30 big-league managerial jobs; at least eight of them are now held by the managerial descendants of LaRussa, Cox and Torre. Major league teams are permitted up to six full-time uniformed coaches. The limit appears to be motivated by the fact that the uniformed coaches are eligible for and piling up pension eligibility. Less obvious to many of us on the outside is what exactly these coaches do. Since the sixth coach became the norm back in late 1990s, most teams have identified a coach as the "bench coach." Pitching coach, hitting coach, third base coach, first base coach, bullpen coach, bench coach. And the bench coach? His duties are even more vague. This fall, a number of teams have turned to identifying a coach not as bench coach but as "assistant hitting coach." The Kansas City Royals, having fired hitting coach Kevin Seitzer, hired Jack Maloof as hitting coach and Andre David (who played for the Twins in 1984 and '86) as assistant hitting coach. The Los Angeles Dodgers hired Mark McGuire as hitting coach and John Valentin as his assistant. 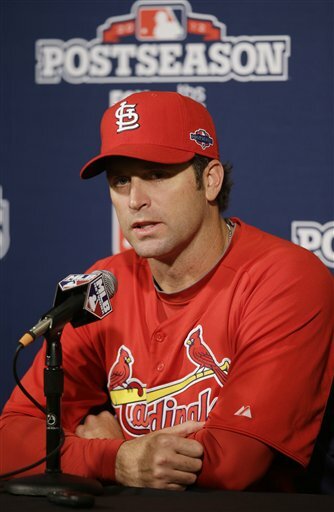 The Boston Red Sox haven't hired any hitting coach for 2013, but they intend to have two. The Philadelphia Phillies have Steve Henderson and Wally Joyner as his assistant. The Twins aren't following this trend -- officially. Terry Steinbach is listed as catching instructor/bench coach. But they do have two former hitting coaches on their staff in Ullger and Vavra, and new hitting coach Tom Brunansky has suggested that Vavra, who held the job last season, will be helpful to him. When Mike Redmond landed the managerial job in Miami last month, he talked about the career advice he'd gotten from Jim Leyland, his first big-league skipper and now manager of the Tigers: Take a minor league job and learn the nuances of managing in the bushes. Redmond did so: Two seasons in the Toronto system managing in Class A. Even Ryne Sandberg and Mike Schmidt, Hall of Fame players who harbor(ed) managerial ambitions, had to go to the minors first. Schmidt quit after a few weeks (he could make more money on the autograph circuit and didn't want to manage enough to put up with the minor league life); Sandberg is in the bigs as a coach now and reputedly the manager-in-waiting in Philadelphia. There are a lot more minor league managers than major league managers, of course, and only a few get to ride the buses to one of the big-time jobs, as Redmond did. The odds are agin 'em. And the odds are getting worse. Major league teams are increasingly hiring managers who haven't managed, or even coached, on any professional level. The most recent such move came late Wednesday, when the Colorado Rockies selected Walt Weiss, a former major league shortstop who had been coaching in high school. Others of this ilk: Mike Matheny, who led the Cardinals to the seventh game of the NLCS in his first season managing anywhere; and Robin Ventura, who kept the White Sox in the playoff hunt. Inexperienced and successful: Not a promising development for the dues-paying minor leaguers. What's more, the Rockies had as one of their leading alternatives to Weiss the still-active Jason Giambi, and the White Sox were seriously considering making Paul Konerko player-manager before tabbing Ventura. These selection were unusual. Most managers take the Redmond route of a minor league apprenticeship; others are at least coaches in the majors for a while, learning the job from a more experienced manager (Ozzie Guillen from Jack McKeon, for example). What Weiss, Matheny and Ventura have had in lieu of experience coping with the issues of running a minor league team: Impressive major league playing resumes. Weiss was AL Rookie of the Year in 1988; Matheny caught in the majors for 13 years; Ventura was probably the greatest third baseman in White Sox history. All this has a certain amount of at least theoretical interest to Twins fans. Paul Molitor has never managed in the minor leagues and was last a full-time coach in 2001 under Tom Kelly. But he may be the manager-in-waiting. Matheny,Ventura and Weiss indicate that Molitor wouldn't be a unique selection. 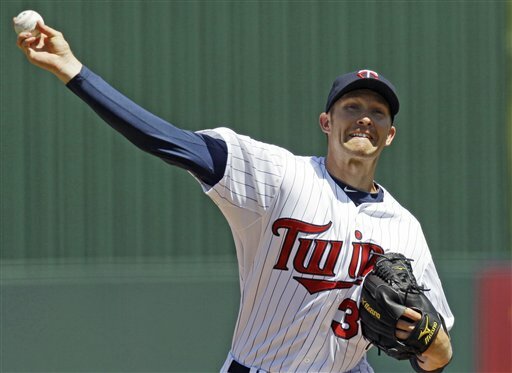 The Minnesota Twins have lined up their Plan B options for the starting rotation. Plan A? That's another matter. 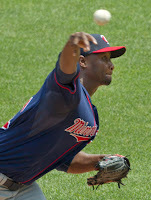 The Twins ended the 2012 season with a starting rotation of Scott Diamond, Sam Deduno, P.J. Walters, Liam Hendriks and Esmerling Vasquez. Cole De Vries would have been part of that group but for a broken rib. to stay with the Twins. Diamond is a certainty for the 2013 rotation. He's part of Plan A; none of the other five are. The return of the outrighted trio is noteworthy. Usually a pitcher who can't keep his spot on the 40-man roster goes off in search of another employer. The Twins don't see better alternatives pushing their way up to the higher levels of the the farm system. I do not believe the Twins are re-signing them with intent to have been in the major league rotation. They are Plan B guys, fall-back options, rotation filler for Triple A who can step in for the big club if and when. But for them to be Plan B, somebody else has to be Plan A. And that is the key to the Twins offseason, finding the pitchers who make De Vries, Hendriks, Walters, Vasquez and Deduno the Rochester rotation next spring. 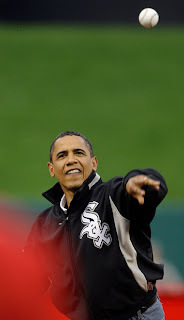 Romney, at Game 4 of the World Series. Terry Ryan, the Twins general manager, and Paul Ryan, the Republican nominee for vice-president, are related -- cousins of one degree or another. They're both from Janesville, Wis, and there are apparently a lot of Ryans there. President Obama is well-known to be a White Sox fan. 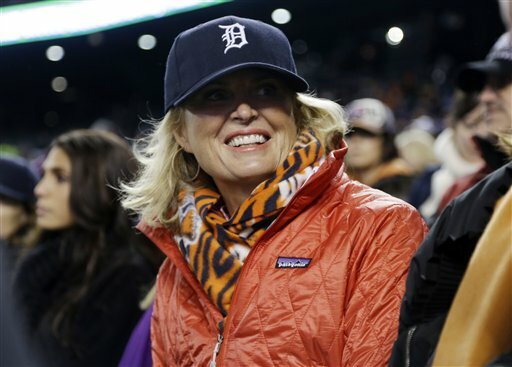 Mitt Romney's baseball loyalities are a bit less well defined; as a former governor of Massachusetts, he probably had to at least pretend to be a Red Sox fan, but he grew up in Michigan, and his wife, Ann, wore a Tigers cap to Game 4 of the World Series last month. That was probably a sincere rooting interest, but it was politically astute as well. There aren't a lot of GOP votes in San Francisco anyway, and Michigan is closer than California to being a swing state. Major League Baseball has a political action committee, the MLB Commissioner's Office PAC, created in 2001. A story in a recent Baseball America said the PAC had raised $465,700 for the 2012 election cycle; the teams leading in contributions are the Giants ($46,750) and the Twins ($30,000). Historically, the PAC has given more to Democrats (58.9 percent) than to Republicans (44.1 percent). The Pohlads have long been contributors to DFL coffers; this listing of 2012 donations by team CEO Jim Pohlad totals $60,000, all to either the MLB PAC or to Democrats. The trio of brothers (Jim, Bob and Bill) had given more than $300,000 as of last summer to the group fighting the marriage amendment in Minnesota. Mitt Romney's eldest son, Tagg, was director of marketing for the Los Angeles Dodgers for less than a year around 2005, when Frank and Jamie McCourt owned both the Dodgers and valuable real estate in downtown Boston (parking lots) and Daddy Romney was governor of Massachusetts. Tagg didn't last long, and this story from the Los Angeles Times paints an unflattering picture of his tenure and qualifications. Of course, pretty much everything from the McCourt era draws scorn in L.A. these days. the A's rotation in 2005. There are 30 teams in the major leagues. None of them wanted Dan Haren. Or, more precisely, none of them wanted Haren and his contract. Start here: Haren is, when healthy, a very good pitcher. Durability is a big part of that. The 32-year-old right-hander has been in major league rotations for eight seasons, and he's never failed to make at least 30 starts. 2012 was the first time he's failed to work more than 215 innings. He missed by quite a bit this year, however -- 176 innings, less than six innings a start. He hit the disabled list for the first time in his career and his velocity dropped. He's only 32, but there the mileage on his right arm is pretty high. The Angels traded Santana to Kansas City for a 27-year-old Triple A lefty reliever —which is to say, a nonprospect. They never came up with a deal for Haren. So the Angels decided at Friday night's deadline to pay Haren $3.5 million to go away. 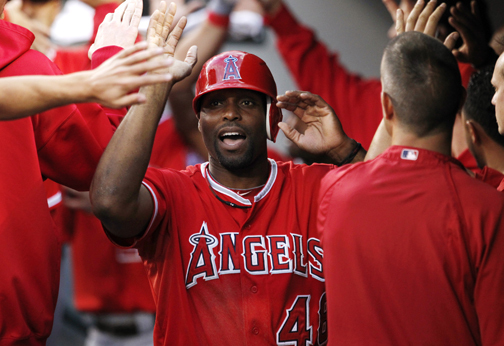 He's now a free agent, and the Angels are $12 million ahead financially. Now, imagine that the Twins had offered them a minor league nonprospect for him — let us say Daniel Turpen, a Double-A reliever who isn't on the 40-man roster. The Angels would have saved the full $15.5 million, and they'd have a minor league arm. They'd have taken that deal over nothing. But the Twins didn't go that route. Even the 2012 version of Haren, the one with declining stuff and physical ailments, was better than anybody the Twins started except Scott Diamond, but the Twins didn't want him. Maybe they're wary of Haren's medicals. Maybe $15.5 million is more than they want to put into any one pitcher this offseason. Probably both considerations were factors. Not just for the Twins, but for 29 other teams. 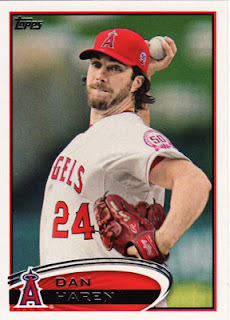 The Angels, who know Haren better than anybody, didn't want him. Nobody else traded for him. It will be interesting to see what Haren's market looks like this winter. Sergio Romo celebrate their World Series title. Marco Scutaro — or, if you're TBS' Craig Sager, Scooter-roo — had a 2012 that is a testimony to the randomness of baseball. He opened the season with Colorado, where he played 95 games and had 415 plate appearances, in which he hit .271/.324/.361— which, in the context of Coors Field, is underwhelming at best. His OPS+, which computes his production in the context of the league average and home field, had him a 27 percent below average as a hitter as a Rockie. On July 27 he was traded to San Francisco. And there — in a much more difficult environment for a hitter — Scutaro hit .362/.385/.473 the rest of the way (61 games, 268 plate appearances). His has been an odd career, period; he didn't get his first real shot at playing time until age 28, which is old for a rookie, and he's hit better as he's aged. 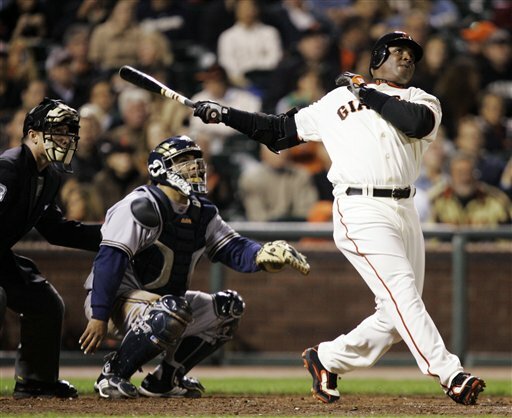 In four years with Oakland (2004-07) he hit .262; in the five years since, bouncing between Toronto, Boston, Colorado and San Francisco, he's hit .286. He's a free agent, and he just turned 37 last week. It will be interesting to see what kind of offers he gets. This concludes the Pic of the Week Sunday feature for this year; to see them all, click here. Next week I'll resume the Sunday Funnies. with the Twins despite plenty of opportunities. The Minnesota Twins had a busy Friday on the waiver wire. Waiver transactions are almost always fringe-of-the-roster moves, but there are a couple of familiar names involved in these moves. Most prominent, of course, is Casilla, who was claimed by the Baltimore Orioles. It was widely assumed last summer that the Twins would nontender Casilla, who never took control of a regular job despite a multitude of opportunities. It wouldn't surprise me if the O's wind up nontendering him themselves; he figures to get more through arbitration than a reserve infielder ought to get. The Twins also outrighted Deduno, who spent most of the second half in the starting rotation. He can opt for free agency, but the early word was that he and his agent were leaning toward accepting a minor-league contract with Minnesota, as P.J. Walters did a few days after he was outrighted. I can't see that he can expect a major-league contract from anybody else. The additions both come from Colorado, one of the few teams with a worse 2012 record than the Twins. Roenicke is a 30-year-old middle reliever who had a 3.25 ERA in 88.2 innings for the Rockies. That's good in any environment, but particularly in Coors Field. He also had 54 strikeouts and 43 walks, which is not good. The Rox apparently waived him for much the same reason the Twins waived Casilla: They didn't want to pay him at the arbitration rate. Roenicke is said to have a good fastball. Off his numbers, I'm inclined to lump him into the same category as Jeff Gray and Alex Burnett — not enough missed bats to make up for his lack of command. Roenicke does have interesting bloodlines: He is the son of former major league outfielder Gary Roenicke, the nephew of current Brewers manager Ron Roenicke, and the brother-in-law of Ian Desmond, the shortstop of the Washington Nationals. Thomas Field — he'd better field, because there's little reason to believe that he can hit. Oh, some of his minor league numbers at lower levels look pretty good, but the Rockies' farm system is pretty much all in hitters parks. He's a shortstop who'll turn 26 before the season starts. I expect the Twins to try to get him through waivers to get him off the 40-man roster so they can assign him to Rochester and have him for the Triple A lineup — much as they did last winter with Pedro Florimon. The Twins filled a couple of significant, if behind the scenes, jobs on Thursday —filled them, in typical Twins fashion, by promoting from within. The elevation of Brad Steil to farm director is easy enough to interpret. Jim Rantz, who held the job since 1985, is retiring, and the decision appears to have been his. Steil had been his No. 2 and was named interim farm director when Rantz announced his retirement about a month ago. The Twins have been rather conservative in placing and promoting prospects, and I don't expect that to change. Such decisions are probably collegial anyway, but the appointment of Steil suggests that general manager Terry Ryan continues to favor promoting a player a year too late to a month too early. There is a good deal more opacity to the training staff promotions. Ryan fired Rick McWane at the end of the season; on Thursday the Twins elevated his underlings one rung each: Dave Pruemer was named the head athletic trainer, Tony Leo the assistant athletic trainer and Lanning Tucker the assistant athletic trainer and rehabilitation coordinator. Firing McWane indicates discontent with the training staff; promoting the other three suggests satisfaction with their work. I don't know how to square this circle. 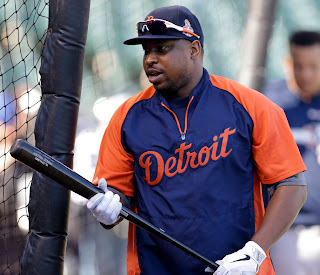 Delmon Young, erstwhile Minnesota Twin, was probably still circling the bases with his game-tying homer in the final game of the World Series when one of my tweeps opined that he'd just won a multi-year deal that the signing team would regret by the middle of April. Maybe so. But if so, it won't be with Detroit. David Dombrowski said Tuesday the Tigers would not re-sign Young or closer Jose Valverde. three home runs and a .481 slugging percentage. These are decisions based not on October heroics (Young) or failures (Valverde), but on clear-headed evaluation of the players' abilities — and the ability of the organization to replace them. Young for the season hit .267/.296/.411, which isn't acceptable production from a designated hitter, and that outweighs the impressive numbers he's put up in the past two postseasons. Besides, the Tigers have Victor Martinez returning next year from his knee reconstruction, and V-Mart's catching days are almost certainly over. There's no room at the DH inn for Young, and his outfielding "skills" aren't helping him either. Valverde had a rocky 2012 in general — his ERA rose from 2.24 in 2011 to 3.78 — and he absolutely fell apart in the playoffs (2.2 innings, nine runs, all earned). The Tigers probably feel that they got away with one here, that Papa Grande was on the brink of collapse all season and finally did so at the end. Dombrowski spoke of prospect Bruce Rondon as a possible successor in the glory job. The Tigers have certainly been more aggressive about promoting prospects than the Twins are, so it's a genuine possibility. But I wouldn't be surprised if the Tigers threw more of owner Mike Ilitch's money at a veteran. It just won't be Valverde.